The Central West Bushwalking club is an outdoors activity club based in the Central West of NSW. The club is a member of The NSW Confederation of Bushwalking Clubs Inc. The club conducts outdoor activities on weekends and occasional week days throughout the year. We meet on the first Thursday of each month in either Bathurst or Orange. Specifics of the monthly meetings are detailed in each club program. The Club was founded in 1976 when the then Central Mapping Authority moved to Bathurst. We now participate in a broad range of outdoor activities ranging from easy introductory activities to multi day trips for the more experienced or adventurous. Our members have an extensive knowledge of Bushcraft and outdoor skills and delight in passing on their experience to visitors and new members. So if you are keen to enjoy some of the beauties and outdoor opportunities of the Australian bush then check out the other pages of our website! Come on...give it a go! Would you like to join us? For more details about joining, see our FAQ page. Please provide your details in the "How can we help" form and we will contact you! How did you hear about us? Let us know from one of the four choices. If you have any questions or comments, please record them and we will respond as soon as possible. 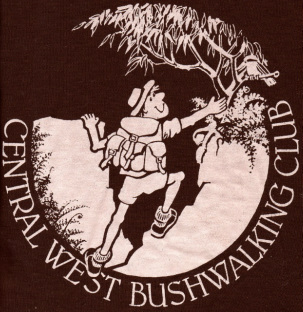 To find information out on the Central West Bushwalking Club anniversary book click the button below.